In the word, ‘Kadampa’, ‘Ka’ refers to Buddha’s teachings , and ‘dam’ to Atisha’s special Lamrim instructions. Kadampas, then, are practitioners who regard Buddha’s teachings as personal instructions and put them into practice by following the instructions of Lamrim. 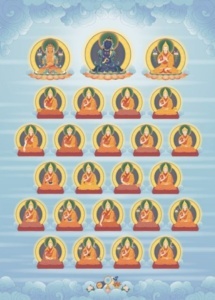 After Atisha, the Kadampa lineage was passed down through a succession of great Kadampa Teachers including Dromtönpa, Geshe Potowa, Geshe Sharawa, and Geshe Chekhawa. These precious Teachers were not only great scholars but also spiritual practitioners of immense purity and sincerity. The Kadampa lineage passed from generation to generation until the fourteenth century when it reached the great Buddhist Master Je Tsongkhapa. 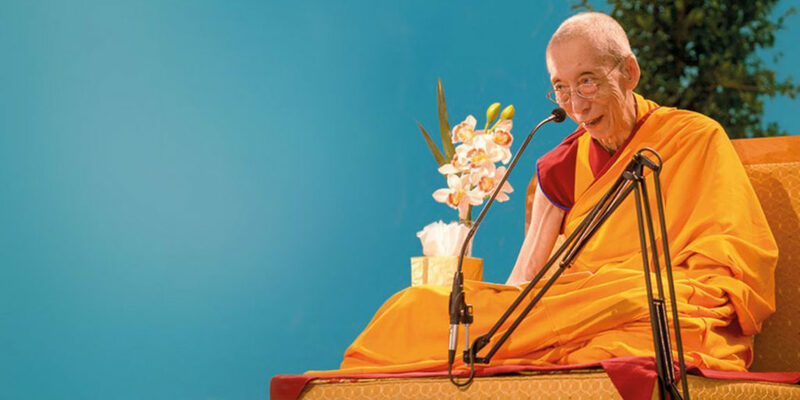 Je Tsongkhapa clarified all the teachings of Kadam Dharma and made them very accessible to the people of that time. In particular, he showed how to combine Lamrim, and Lojong with Mahamudra Tantra in a unified daily practice. After Je Tsongkhapa, the New Kadampa lineage flourished for hundreds of years, down to the present day. In recent years, it has been promoted widely throughout the world by the contemporary Buddhist Master, Venerable Geshe Kelsang Gyatso Rinpoche. 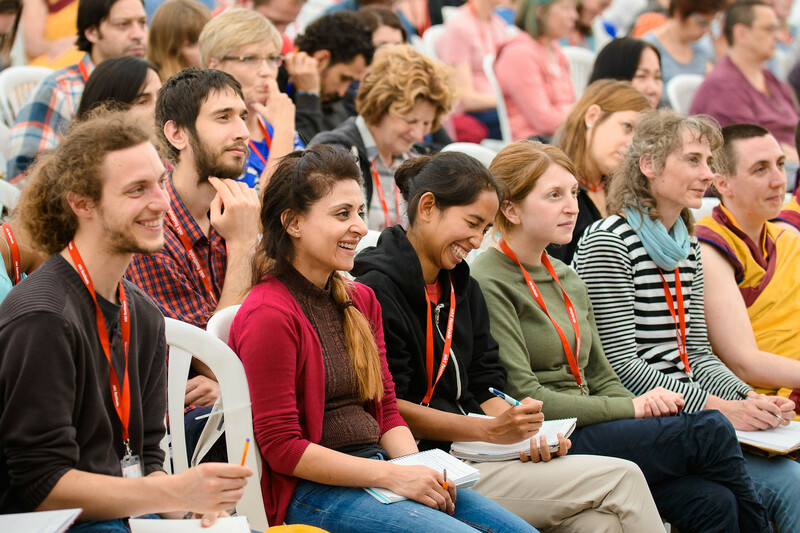 By founding the New Kadampa Tradition – International Kadampa Buddhist Union, Geshe Kelsang has created a truly global infrastructure to preserve and promote Kadampa Buddhism for many generations to come.